Mayo drivers will be able to preview the brand new Skoda Fabia from November 13 at Monaghan & Sons Castlebar. The Skoda dealership said the new Fabia will not arrive in Ireland until mid-December. However, they will be showcasing the new model during an exclusive preview event in the dealership on Thursday, November 13. The third-generation Fabia model comes with innovative technology, more usually featured in higher vehicle classes; a new design; more fuel efficient engines; and 5-star NCAP safety rating. 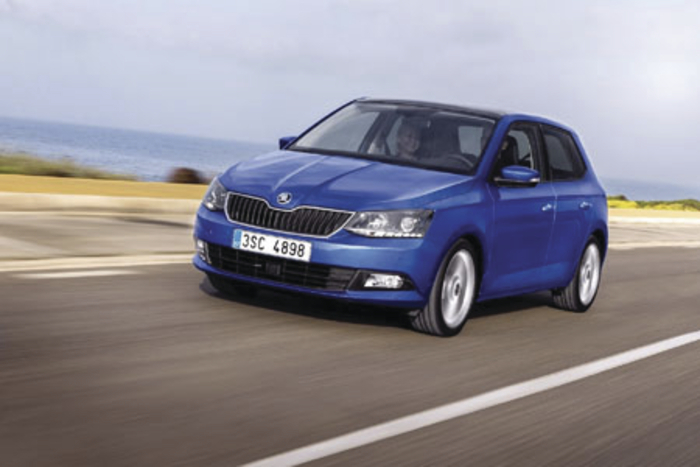 The new Fabia is up to 65 kg lighter, and up to 17 per cent more efficient, than the previous model. In fact, the lightest Fabia weighs just 980 kg. In typical Skoda fashion, the car has the biggest boot in its segment at 330 litres and optimum functionality with many ‘Simply Clever’ features. The new Skoda Fabia will be available for test drive in December and will be available for the 151 registration plate. Speaking ahead of the event, David Monaghan, dealer principal, Monaghan & Sons Castlebar, said: “The Fabia is going to be a big car for 2015 and we are offering local motorists a sneak preview of the car on Thursday. “We will have refreshments and competitions to celebrate the new Fabia’s arrival. It is an event not to be missed. “In addition to our new Fabia reveal we also have exciting offers on all our other models in the range. Skoda finance rates start from 3.9 per cent APR, equating to lower monthly repayments, which can include the cost of routine servicing.